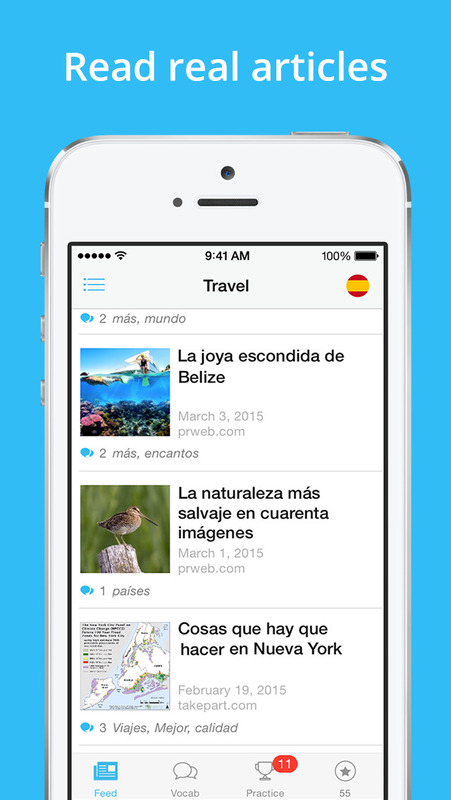 Lingua.ly – Learn a language. Make it your own. 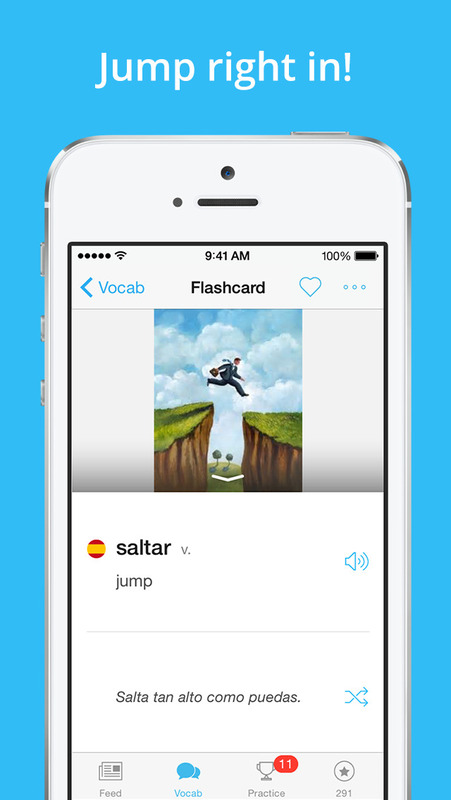 Lingua.ly app is immersive learning experience for any level of learning, grabbing news material online and turning it into bite-sized language lessons, while also acting as a translation service with a personalized dictionary built-in. Lingua.ly includes audible pronunciations, multiple definitions in the native language, and a persistent profile system that syncs across your devices, tracking your progress and helping you spend a little extra focus on the more troublesome terms in your acquired vocabulary. The idea is to use this digital personal language assistant to learn new words or refresh your memory on previously learned words in short bursts on-the-go, since real life language learning for most people who are out of school doesn't lend itself to structured, classroom-like lengthy sessions. In an authentic context, you are likely to meet co-locates and related content, plus you’ll get better at navigating real language to prepare you for immersion in a Spanish speaking environment. Learn a language from the real world! 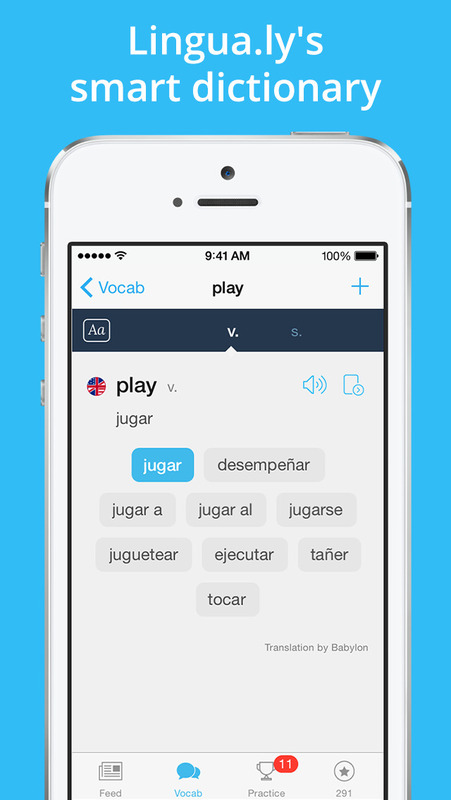 · Collect new words with Lingua.ly's smart dictionary. 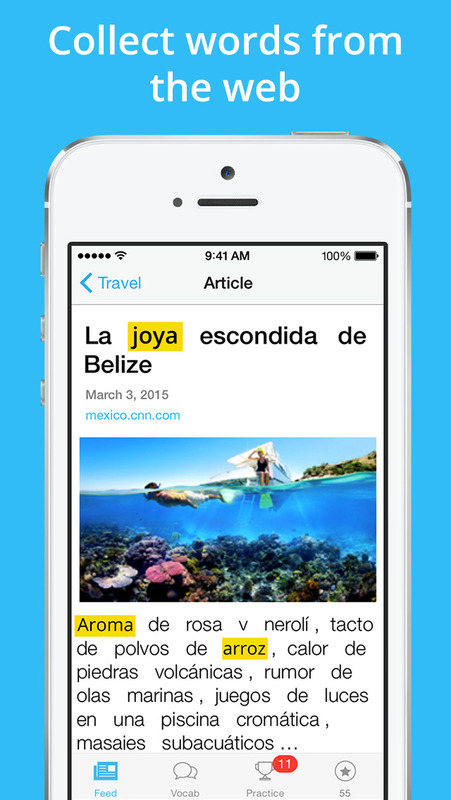 · Use your new vocab as you read real articles from local newspapers. · Not ready for articles? Try our text bites. Study French, English, Spanish, German, Arabic, Hebrew, Italian, Dutch, Russian and Portuguese with Lingua.ly.